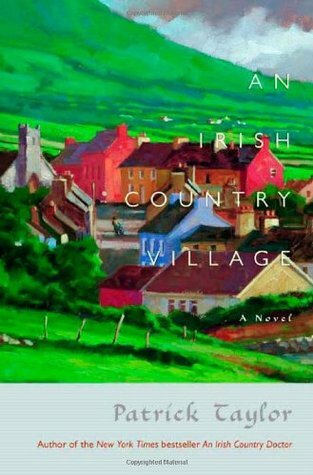 Anyway, the mood struck me to return to Ballybucklebo and see what is going on with young Dr. Barry Laverty and his mentor, Dr. Fingal O’Reilly in book two: An Irish Country Village. Although it’s been a few months, it was easy to slide right back in to the fictional world in a novel that essentially picks up where the last one left off. Dr. Laverty has been offered a more permanent position with Dr. O’Reilly, with an eye to becoming a full partner. Laverty has fallen in love with Ballybucklebo and with the vision of himself as a country physician. He is thrilled and honored to get the offer and is ready to sign on. Double disasters strike. (Or one disaster and one dilemma.) First, a patient dies unexpectedly. Laverty had previously missed a critical diagnosis in this man–a mistake that he has already beaten himself up over again and again. Now, he’s horrified to think that his error might have led to the man’s death. Moreover, the man’s wife is threatening a lawsuit. While Dr. O’Reilly is standing behind Laverty and won’t rescind his offer, Laverty wonders if he’ll have to reject it. In this small town, the people will never trust him again if he’s sued. Besides all that, does he really want to stay? He’s fallen in love with Patricia Spence, a civil engineering student away at college in Belfast. It’s difficult enough getting to spend time with her, but worth the effort. Yet now, his brilliant girlfriend is competing for a scholarship to Cambridge. To win would be a huge accomplishment, not just for Patricia personally, but to advance the cause of women in engineering. Laverty wants to be supportive, but he can’t bear the idea of her moving farther away for three years. He could go with her, but he doesn’t want to leave Ballybucklebo. Unless he has to. . .
Much like the first novel, the book follows the two doctors about their daily business, both medical and non-medical, as they care for the people of their small town in myriad ways. The people give back. Some are sweet, some cantankerous, some goofy, but they are all interesting characters. The lives of Laverty and O’Reilly continue to charm. Laverty is an intelligent, thoughtful protagonist. It’s a slow amble of a read, though never dull – a stop and smell the roses kind of book. I’m sure I’ll be picking up book three in another few months down the road. 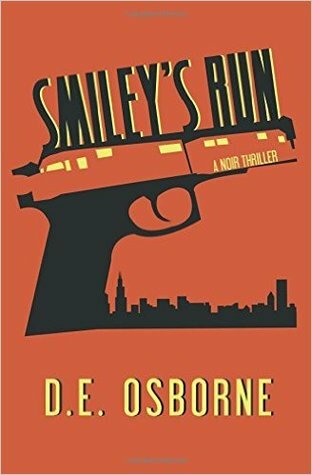 For a change of pace, I decided to pick up a contemporary action thriller: Smiley’s Run by D.E. Osborne. This exhilarating adventure reminded me why it’s a good idea to jump outside my comfort zone. Jason Smiley is an ex-cop, Iraq veteran, and former Guantanamo interrogator who, in his return-to-the-US life, has settled in as a private detective, chasing insurance frauds and cheating spouses. A Chicagoan at heart, he is now based in L.A. He can’t return to his native city for reasons that will become clear. Smiley’s routine is broken when he wakes up naked in a strange hotel room next to a dead man. The man was a client, who worked for a low-level mobster. As Smiley’s mind clears, he remembers he had been on his way to meet an old army friend, Jack Nesmith. Jack had called him, out of the blue, saying he was in trouble and needed help to save the world. Smiley is a hard-boiled detective, cynical for all the right reasons. He has few friends left in the world and trusts next to no one, but he does trust Jack. He does not trust the unknown woman who appears at the door to the hotel room with new clothes and an assignment for him, ostensibly from the mob: Find Jack– in Chicago. What follows is an action-packed race around the country and to some Carribean islands as Smiley searches for his old army buddy. Along the way, he becomes embroiled in a complicated plot involving the mafia, Chinese terrorists, jihadist terrorists, and corrupt members of the Chicago police force, U.S. military, and the Department of Homeland Security. Someone has stolen triggers for nuclear bombs and will be attempting to steal the bombs. How much does Jack know? Who is working for whom? And can Smiley sort it all out before it’s too late? Fans of superheroes without superpowers who have complex emotional baggage but nevertheless get the job done will enjoy this adrenaline-infused debut from D.E. Osborne. If Jason Smiley makes a return visit after a well-deserved rest, I’ll be picking up the next book too! Fans of Phillipa Gregory, or fans of romantic historical fiction who’ve had just a bit too much of the Tudors, here’s a novel tailor-made for immersing yourself in early eighteenth century France, the court of Louis XV. Before Madame de Pompadour, King Louis had a succession of mistresses, four of whom were sisters. 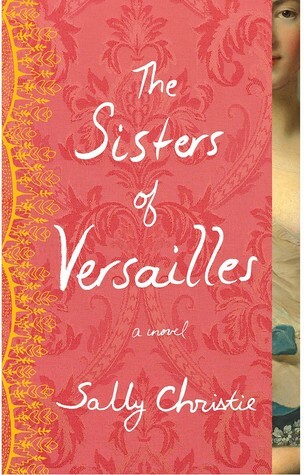 We meet them all in The Sisters of Versailles by Sally Christie. The novel is told from multiple first person viewpoints so that each of the sisters can tell her own story. Interspersed are artfully deceptive letters between the sisters that may or may not have deceived anyone. Christie succeeds in creating distinctive, interesting women, each with her own voice, goals, and heartaches. Each has her own feeling about the king and reason for taking on the role of mistress. The trajectories of the relationships, and the relationships among the sisters, are well charted. Life at court, its vanities, gossip, fashions, and political maneuvering are also well portrayed. The historical context is given short shrift: what is going on in the bedroom is much more important than what is going on in the world beyond the walls. Occasionally, someone makes mention of the unpleasantness of the peasants. Or there is acknowledgment that King Louis doesn’t pay much attention to the duties of the realm, leaving the governing to his ministers. He does have to spend part of his days meeting ambassadors and signing papers, but there is no substantive description of troubles affecting France. Nevertheless, the book is chock-ful of driven characters, motivated by love, lust, jealousy, greed for power, even gluttony. The novel pulls you irresistibly along on the journey with these sisters in this remarkable tale. 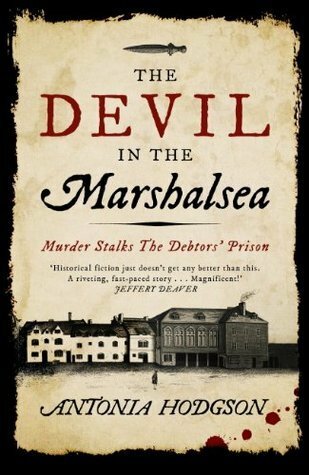 The Devil in the Marshalsea by Antonia Hodgson is a gritty historical thriller that I could not put down. 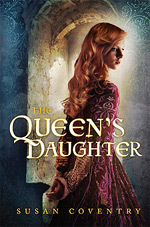 The author did a great job of pulling me into the story and into the horrifying world of a debtors’ prison in early eighteenth century London, so I loved the book even though I never did warm to the protagonist. Thomas Hawkins in an unlikely hero. Brought up to be a "gentleman" and inherit his father’s position as a country parson, the Oxford-educated Thomas rebels when he gets a taste of wine, women, gambling, leisure, and satisfaction of his own wants. So far, he’s been able to afford his habits by gambling and sponging off others, but now his creditors are calling in his debts. His landlord will no longer wait for rent that isn’t being paid. Thomas has no choice but to beg money from his last friend, Reverend Charles Buckley, an old school chum who has made the opposite choices. Unfortunately, Charles’s purse is not deep enough to save Tom from debtors’ prison. Tom’s pride will not allow him to beg his father. After all, the parson, deeply humiliated when Tom’s sins were paraded in front of the parish, disinherited him. So Tom gambles the little Charles is able to scrape together and, miracle of miracles, wins enough to save his skin. A little celebration is in order, naturally. After dulling his wits with drink and flirtation with a favorite madam, he sets off for his lodging too late at night, and he’s promptly robbed. Thus, our hero is sent to Marshalsea after all. Tom is not a sympathetic character. Nevertheless, no one deserves Marshalsea. The prison is a mini-city ruled by greedy tyrants. It’s divided into the Master’s Side, where those who still have friends and family can pay rent, buy food, and survive for a time, and the Common Side ("over the wall") where the truly destitute are thrown to die. Tom is struck by terror at first and maybe even a little remorse as he realizes how close he is to ignoble death. He’s a gentleman, after all, and entitled to better. Fortunately, others seem to agree, but for differing reasons. First, he is young, handsome, and bears a passing resemblance to a prisoner of Marshalsea who was recently murdered, Captain Roberts. Roberts had friends and left behind a beautiful widow. They want him avenged. Even his ghost cries out for vengeance. And they think Tom may be able to help. Second, friend Charles happens to work for Sir Phillip Meadows, who administers the Marshalsea in the king’s name (meaning he hires the men who oversee it and make a tidy profit by all the corruption.) Tom depends on Charles to help him as best he can, and Charles comes back with this thin thread of hope: if Tom can solve the murder, Sir Phillip will be obliged and Tom’s debts will be forgiven. Finally, there is Sam Fleet, a threatening fellow prisoner, universally hated in the prison and the prime suspect in the murder. Sam was Captain Roberts’ roommate until the night of his unfortunate demise. He’s taken a strange interest in Tom, including arranging to have Tom for his new roommate. Tom is in the prison for five days with the stakes growing higher each day. He must solve the mystery or find himself thrown over to the Common Side, if he isn’t murdered first. Tom has some redeeming characteristics. He is generous and charitable. He doesn’t let fear stop him from doing the right thing. And he is loyal to men who have done him a good turn. (As long as he remembers.) But Tom’s character seems to run fairly shallow. This is particularly true where women are concerned. Generally, for me to really love a book, I have to be more impressed with the protagonist. I was much more impressed with Tom’s nemesis/co-conspirator Sam Fleet and with the cast of characters populating the jail than with Tom. The twists and turns of plot kept me turning the pages. And the star of the book was the prison itself. A sequel has just been released, The Last Confession of Thomas Hawkins, and I’ve got it on my to-read list. I’m curious to see if the character is deepened by his experiences in this book or if he’ll skate over the surface of another absorbing mystery. 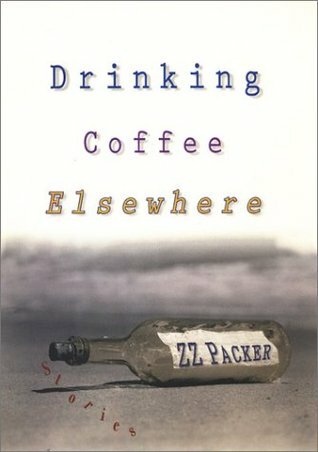 My book group chose a short story collection for our next book: Drinking Coffee Elsewhere by ZZ Packer. Some of her stories have appeared in The New Yorker and Harpers and have won awards, so this young writer is well-respected in the genre. And her writing is distinctive and edgy, with angsty characters in situations fraught with emotional and sometimes physical peril. If you’re a fan of short stories, this is a collection worth reading. However, I think I’m just not much of a short story fan. Rather than depressing slices of life, I like more meat on the bones of a plot and time for characters to grow and develop. This is beautifully written, but in the end, that isn’t enough for me. There’s too much angst without resolution. The common theme seems to be things are not going to get better for any of the characters no matter what, and that’s not great incentive to read on. 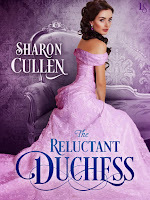 It’s vacation time, so I snuck in a historical romance just for the fun of it. 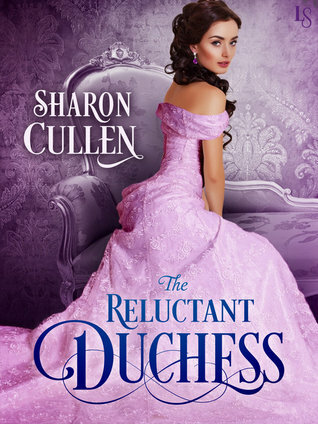 The Reluctant Duchess by Sharon Cullen is not due for release until mid-November, but I recommend that fans of Regency Romance who enjoy a bit of mystery/thriller mixed in to the plot put this one on your lists. Lady Sara Emerson is a beautiful gentlewoman who has retired from society after the shocking murder of her cousin two years before. Cousin Meredith was everything Sara is not: a force of nature, sparkling, vivacious, exceptionally gorgeous, sociable, the life of every party, and engaged to the equally charming and attention-getting Duke of Rossmoyne (Ross). Sara, who suffers from extreme social anxiety, has been hiding away in the country, tending to her retiring and devastated uncle. Her intention was to live out her life as a spinster and recluse. But that was before the letters started. Someone is sending her letters referring to her cousin’s murder and they are taking on a threatening tone. All she can think to do is to hand them over to the duke. Ross has been in India for the past two years acting as a representative of the Crown. The work has steadied him and given him purpose. He still feels guilt over Meredith’s death. Not only does he believe he failed her, but also, re-evaluating their relationship, he knows they were not as well-suited as everyone thought. When Sara puts the letters in his hands, he is determined to protect her and do a better job of it than he did for his betrothed. When she insists on being involved in the investigation, he is irritated at first. But as they spend more time together, he grows impressed with her intelligence, her bravery, and her sense of humor. They are at ease with one another, an odd thing, since he sees how tense she is when forced to be in company with society. Sparks fly. The relationship heats up, but each of them believe they don’t deserve the other–and Meredith’s memory stands in the way. The situation becomes more dangerous as the letter writer gets angrier and bolder. Can they catch the killer before he strikes again? 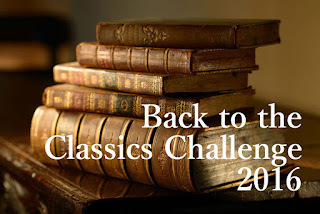 If I don’t pick up the pace pretty drastically, I’m not going to complete the Back-to-the-Classics challenge. I usually squeak in just under the deadline but I fear I’m going to fail this year. 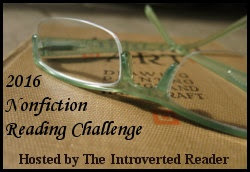 Hoping to ward off failure, I went for an easy one, the humorous classic: something by P.G. Wodehouse. I was browsing at a used bookstore and saw a couple of options. I’ve never read any of his work, so found jumping into a "Jeeves" story to be a bit intimidating. What if I started in the middle of the series? I can’t do that! 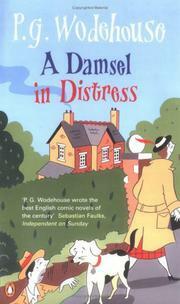 So when I saw the novel A Damsel in Distress, I bought it. This is an entertaining romp, a romantic farce. Set primarily in Hampshire, at Belpher Castle, there are a gaggle of young people in the throes of not-yet requited love and thwarted romance. Lady Maud, daughter of the Earl (Lord Marshmoreton) is more or less confined to the castle because she has fallen in love with an American (met in Wales nearly a year before.) Her aunt, Lady Caroline, is determined to keep the two apart, partly because the match would be unsuitable and partly because she thinks Maud is much better suited to wed her stepson, Reggie Byng. Reggie and Maud are great pals, but determinedly not in love with one another. Reggie is in love with Lord Marshmoreton’s secretary, Alice. Unfortunately, the generally garrulous, lunk-headed and adorable Reggie is tongue-tied around Alice. Lady Caroline’s accomplice in assuring Maud’s misery is Maud’s brother, Percy. He’s a stiff snob with nothing to recommend him. Finally, there is George Bevan, a wildly successful American composer of popular musicals, in London for the opening of his latest play. He and Maud meet cute and he’s hopelessly smitten. A series of misadventures, mistaken identities, and some upstairs-downstairs intriguing follows. It’s funny, charming, and a quick read with the requisite happy ending all around. I should read more U.S. history. Whenever I do, I’m embarrassed by how little I know. 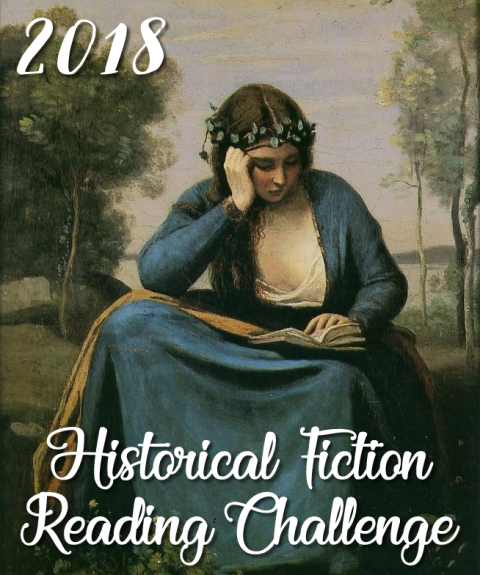 But the sorry truth is, I’m more interested in medieval and Renaissance European history, and don’t read a whole lot of nonfiction to begin with, so straightforward US history falls to the bottom of the pile. Fortunately, after noticing a review of Our Man in Charleston. Britain’s Secret Agent in the Civil War South by Christopher Dickey in my newspaper, I saw the book available from Netgalley and was intrigued enough to request it. 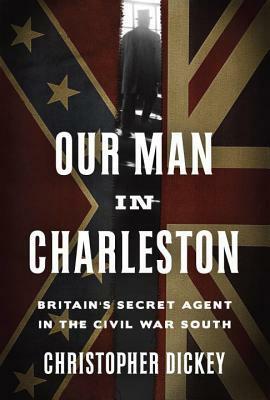 This wonderfully informative book relates the story of Robert Bunch, the British consul assigned to Charleston in 1853. Bunch was intelligent, ambitious, and sly. Although appalled by slavery and disgusted by the manners and affectations of the majority of southerners he came across, he was able to hide his true opinions, ingratiate himself with the locals, and send damning dispatches to his counterpart in Washington as well as corresponding with ministers in London for nearly ten years. His careful collection of information and keen insight helped to shape Britain’s role as the American Civil War loomed and then erupted. His own situation (and that of his wife and child) became increasingly precarious as the southerners grew first more violent and then more desperate. Our Man in Charleston is meticulously researched and is written in a straightforward style. It is primarily a political history, awash in names and negotiations and details. 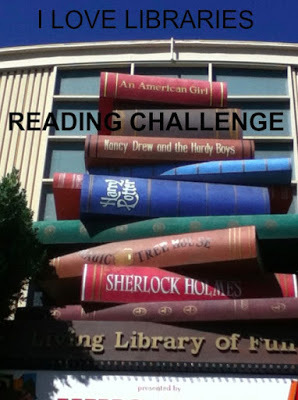 For me, it was a slow read—the type of book I had to put down frequently and then return to, not a book I could read all in a sitting. And yet, it was not a book I considered abandoning. Bunch was more a bureaucrat than a cloak-and-dagger spy; nevertheless, I wanted to follow his journey along to the end.